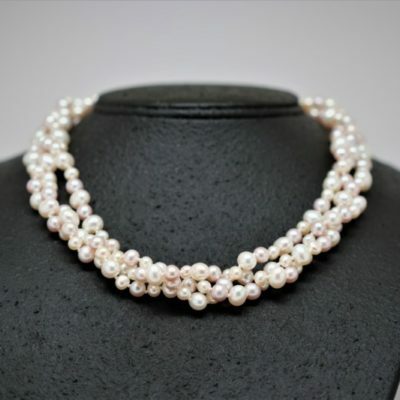 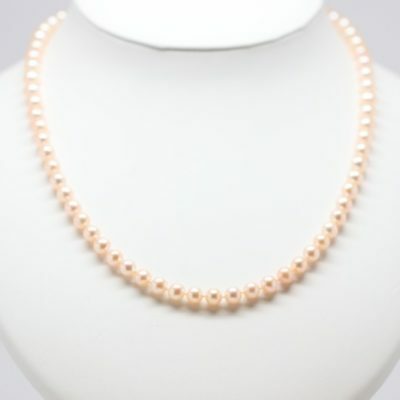 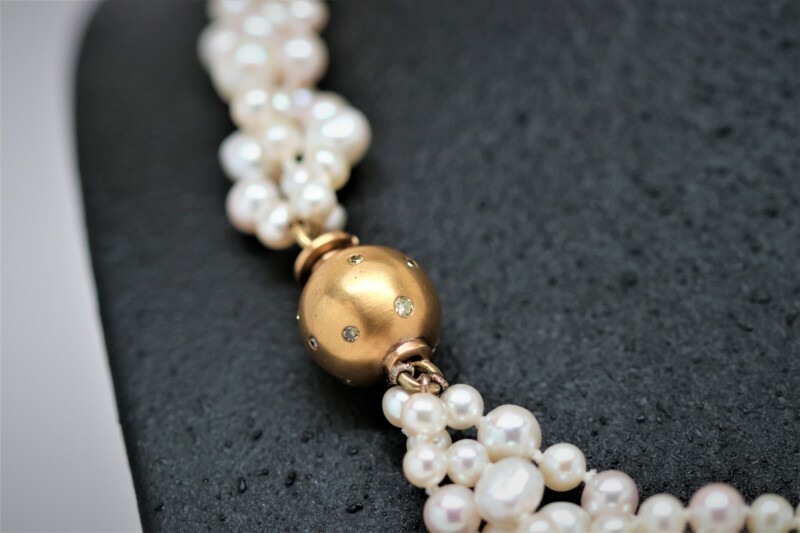 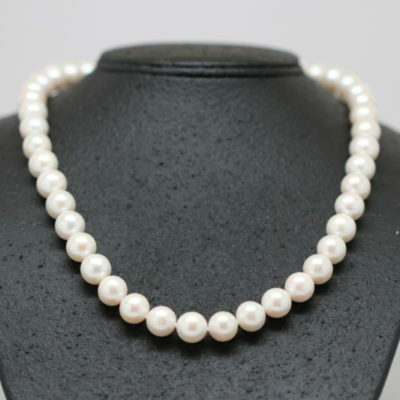 This glamorous three strand pearl necklace has a combination of Fresh Water Cream and Peach Pearls. The clasp is handmade in 18 karat yellow gold with a satin finished and has 13 diamonds of various colors set within. 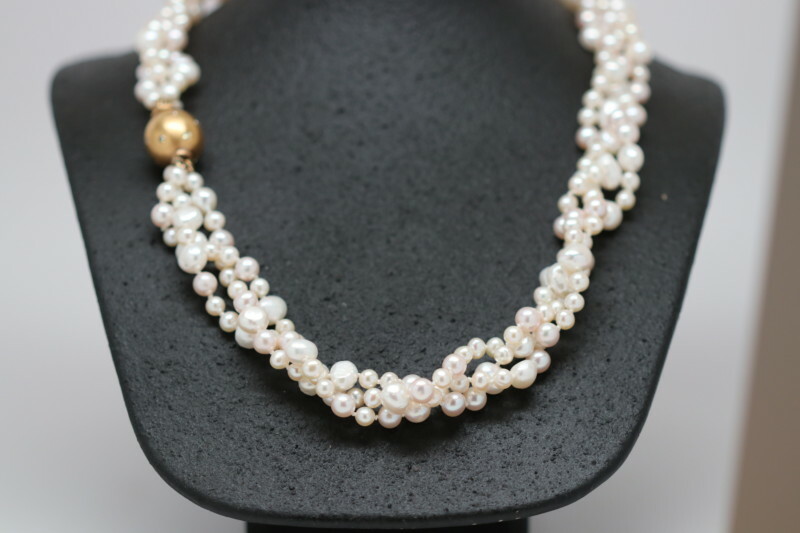 This is a beautiful custom piece for work or play!